We believe that followers of Jesus should do exactly that…follow Jesus! And we also believe that following Jesus means doing more than just sitting back and waiting for others to serve. Jesus was a servant, and He tells us in Matthew that if we want to be great in God’s Kingdom, we need to be servants of all! What greater way to show foster families around us the love of Jesus than by serving them! 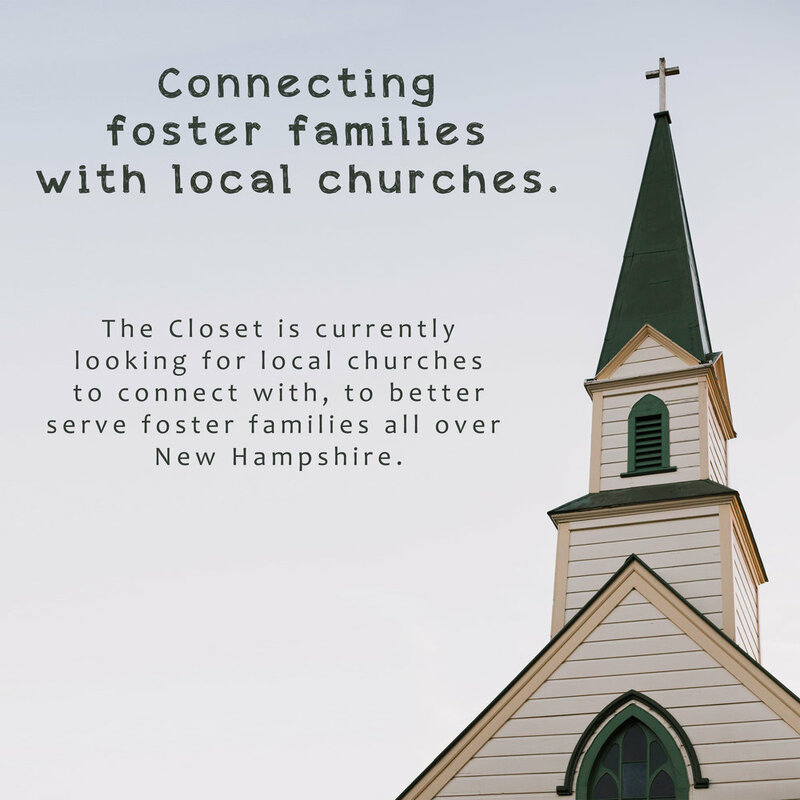 We would love to connect with your church! Please fill out the form to help your church get behind these families and show them love and support. Sharing information between The Closet and your church. Keeping the marketing material (and possibly small supplies for foster families) of The Closet stocked at your church. Communicating and involving your church community in The Closet’s up-coming events and fundraisers. Representing The Closet at your church events.